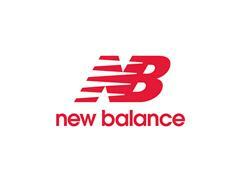 BOSTON, October 2014 – For fall 2015, Boston-based New Balance will introduce an update to its women’s only trainer featuring the breakthrough Fresh Foam technology: the 822v2. The Fresh Foam 822v2 provides a revolutionary approach to training by combining ultra-plush cushioning with a reduced drop from heel to forefoot to offer superior comfort and stability. The Fresh Foam 822v2 will launch in July 2015 with a suggested retail price of $99 .95. The soft, plush underfoot feel of the Fresh Foam midsole is achieved by combining the intelligence and experience of a human designer with cutting edge computer software. Fresh Foam is a ground-breaking technology engineered to bring natural underfoot geometries alongside a cushioned ride with a blend of super soft foam. The Fresh Foam 822v2 has a lightweight, breathable construction with TPU overlays on the upper provide forefoot support for inherent stability in a more minimal package. The outsole of the 822v2 has been redesigned utilizing training-specific data focusing on lateral and multi- directional movement. A larger pivot point area and faceted shapes out the outsole creates traction and stability for her toughest workouts. Imprint foam pillows on the tongue and heel offer additional comfort while the bootie construction gives a custom-like fit. The Fresh Foam 822v2 offers women a feminine upper package with a naturally cushioned yet light neutral training shoe that is not only practical but stylish.